While driving around the city or on its fringes is one thing, going on a trip involving hundreds of miles – a journey encompassing up to two days – is quite another ball game. A good number of people in Bahrain make such long journeys in their cars to go on pilgrimage, or visit scenic places as far afield as Salalah in Oman, or go on shopping trips to Dubai or even to go home on vacation in Jordan or elsewhere. It is not merely a matter of concentrating on the road like in a city, or of remembering to wear the seat belt or not jumping the red signal. Such a trip involves numerous logistical issues and a lot of care and precautions. Before setting on a long journey the first thing to look into very closely is the state of your car. You must have its tyres checked and if any tyre looks rather worn take no chances and replace it. The same goes for the spare wheel which must be in good condition and the battery as well. Check the air pressure in all tyres as well. And ensure that the tool box has everything in place. The next thing to do is check the state of the brakes and the level of brake oil and coolant. Take a couple of spark plugs along; you never know. You must also carry a fire-extinguisher and a wire-charger for the battery. The latter is a boon when you car stalls and a passing vehicle is willing to help you start it, It is a good idea to also carry a plastic can of petrol, tightly sealed, in the boot. On a journey of a couple of thousand miles it can be traumatic to be left high and dry on a deserted stretch with a car which has run out of petrol. Indeed it is a good idea to periodically have your tank topped up at the nearest petrol pump once you notice that two-thirds of your petrol has been used up. You should also regularly check the coolant level and make periodical stops to have snacks at wayside restaurants if only to allow your engine to cool down if you have been driving steadily for more than three hours. 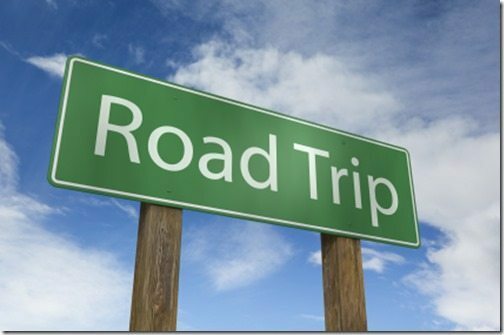 And once at your destination, do take your car to the nearest garage for the mechanic to check your brakes, tyres, battery etc. and ensure everything is in order and have any wear and tear fixed.